Burgers are one of the most popular types of take-away foods in the world and yet they are so simple and healthy to make at home, with the added bonus that you then know exactly what’s going into them – something which can be a bit suspect when you buy from certain fast food joints. 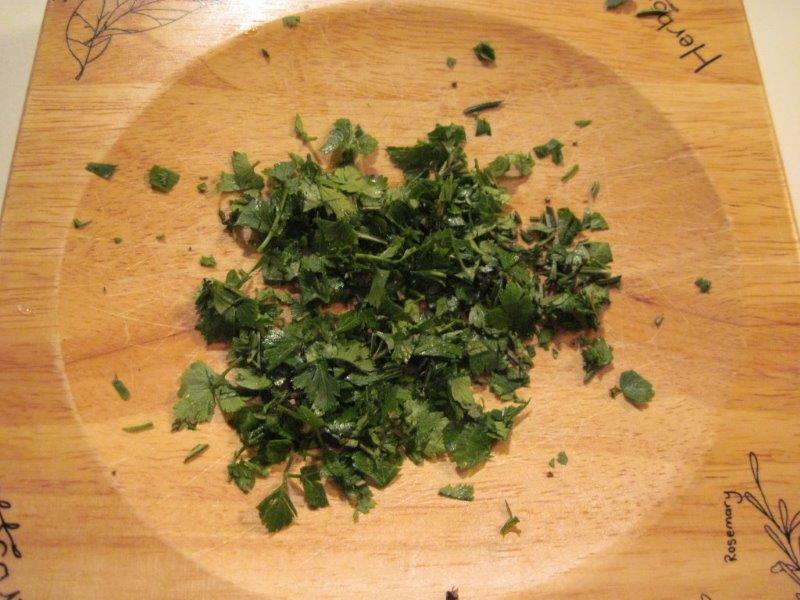 This is a simple and subtly-flavoured burger recipe which you can spice up as you please by adding more of any flavouring – coriander, herbs, tomato, Worcester sauce or even some strongly-flavoured pesto or chilli if you like. 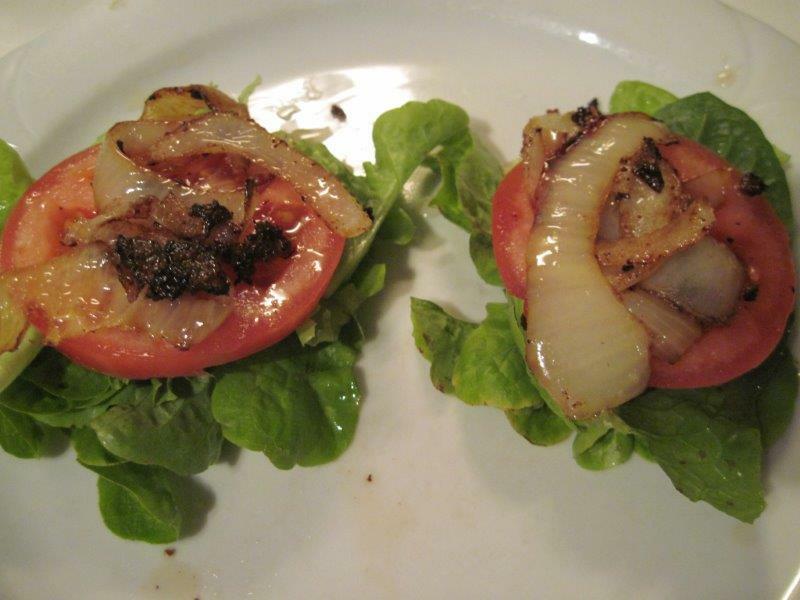 The burgers can be served in the traditional buns or as a paleo meal, with whatever toppings and/or side veggies take your fancy. 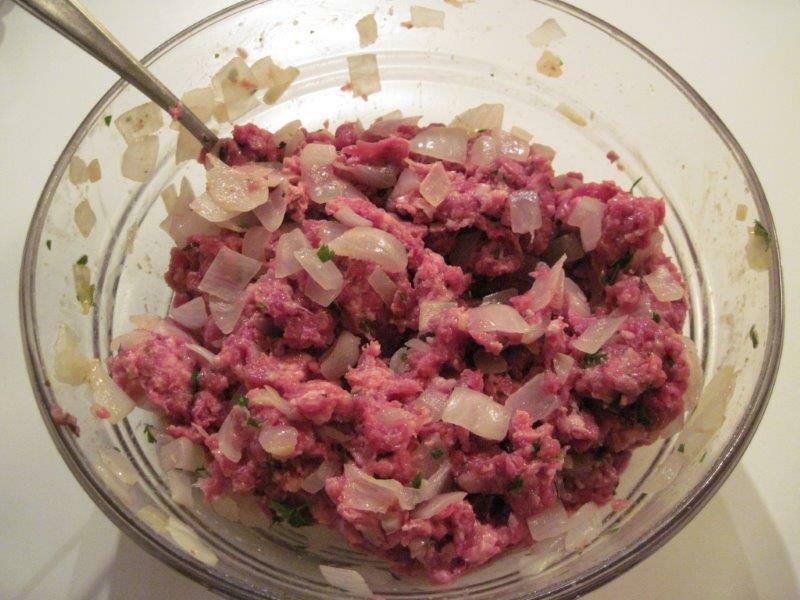 Try to use a good quality mince if you can. 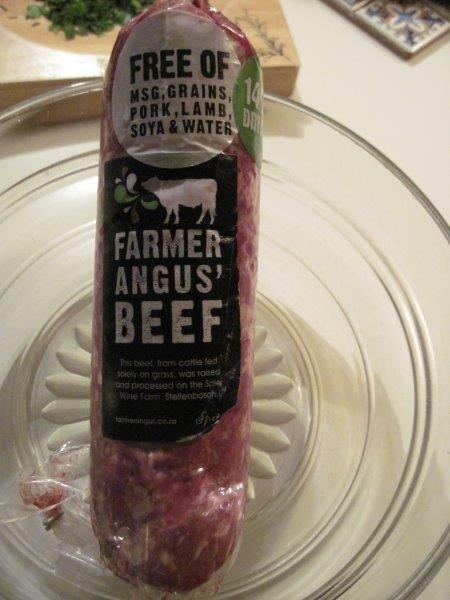 I like to use Spier’s Farmer Angus’ beef mince, which is free of all the nasty hormones and other things you find in most shop-bought mince. Plus I’ve visited the farm and met Angus, so I know the animals are well looked after. You could bake your burgers in the oven, but cooking them with some coconut or olive oil in a frying pan is frankly faster and more energy efficient – and I think they’re also a bit more succulent like that. I often make a bunch of them and then freeze them individually in their raw state. When I know I’m going to want a fast meal that evening, I take a couple out to defrost in the morning. Then I simply bung them on to cook when I get home and by the time I’ve prepared my various toppings or veggies, they’re ready to eat! Prepare the onion and garlic. 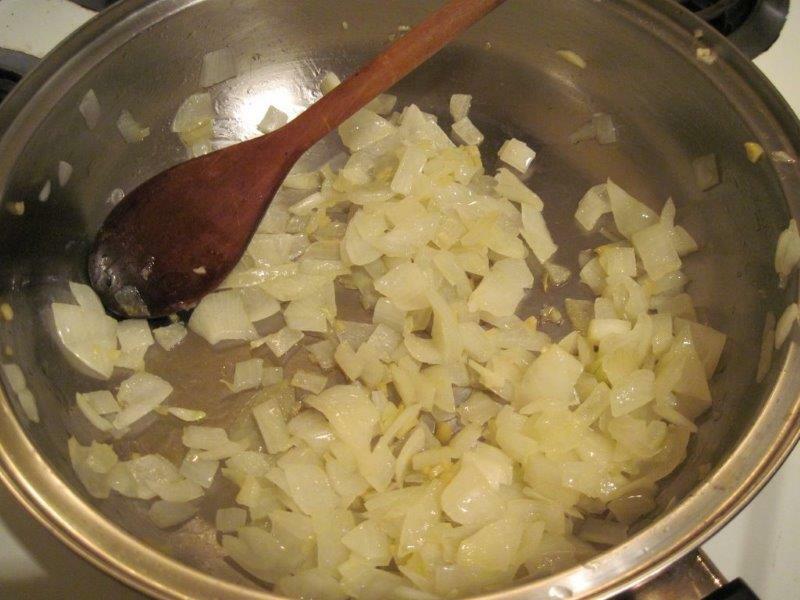 Then heat 1T of oil in a frying pan on low heat, add the onion and garlic and gently cook until the onions soften. 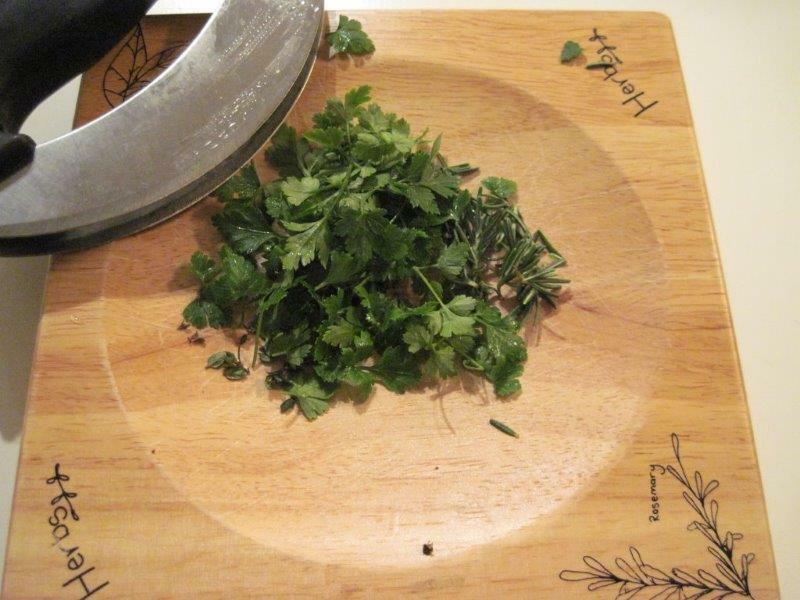 In the meantime, chop up your herbs. Admire the good quality meat you have hopefully bought. 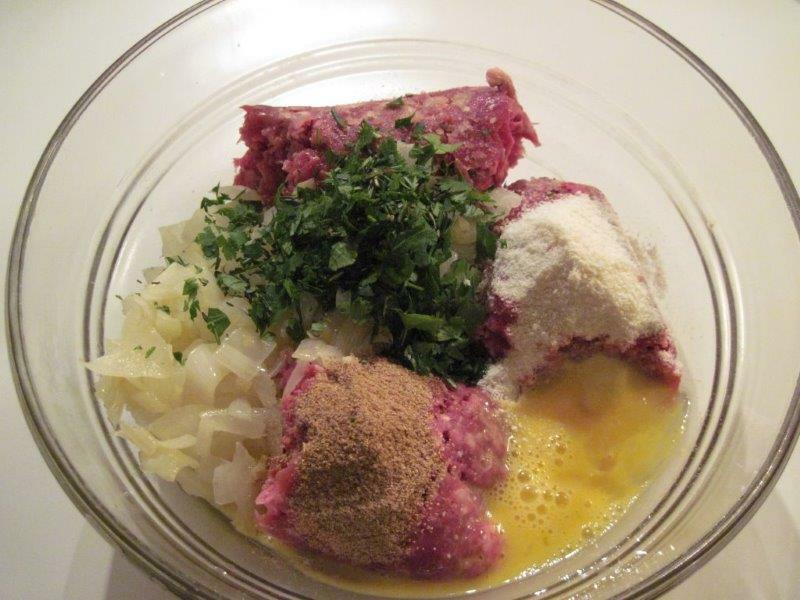 When the onion is ready, place all the ingredients in a bowl and mix them together well. Set a large plate nearby. 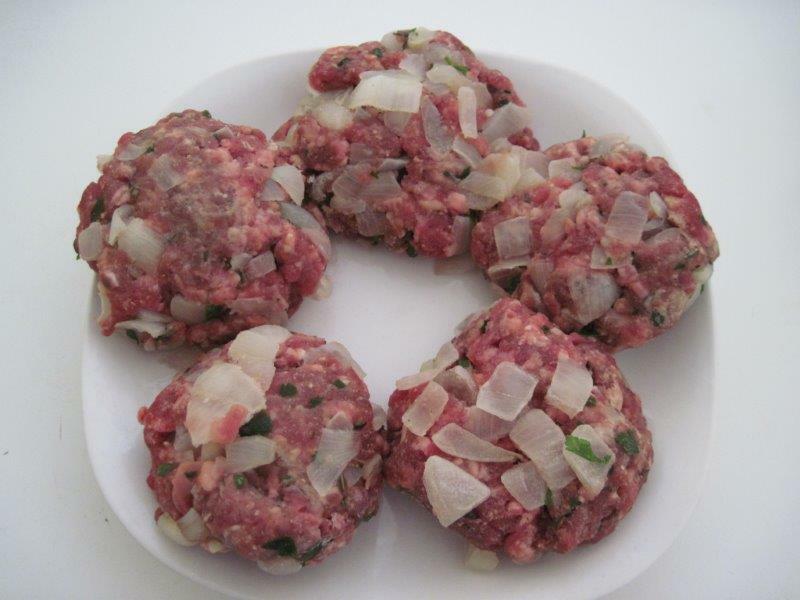 Using your hands, form the burgers into flattened balls (burger shapes). As you form each one, put it on the plate. 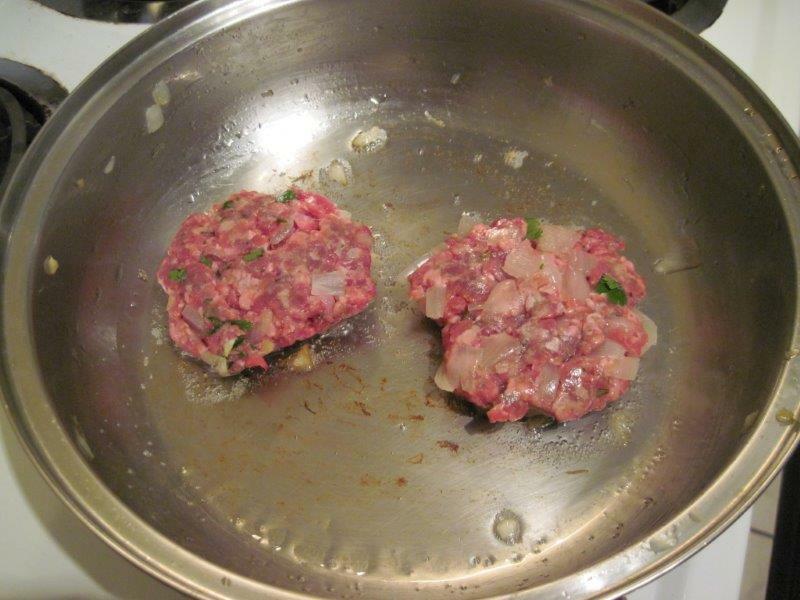 Heat the remaining 2T of oil in the pan on low heat and add the burgers to the pan. 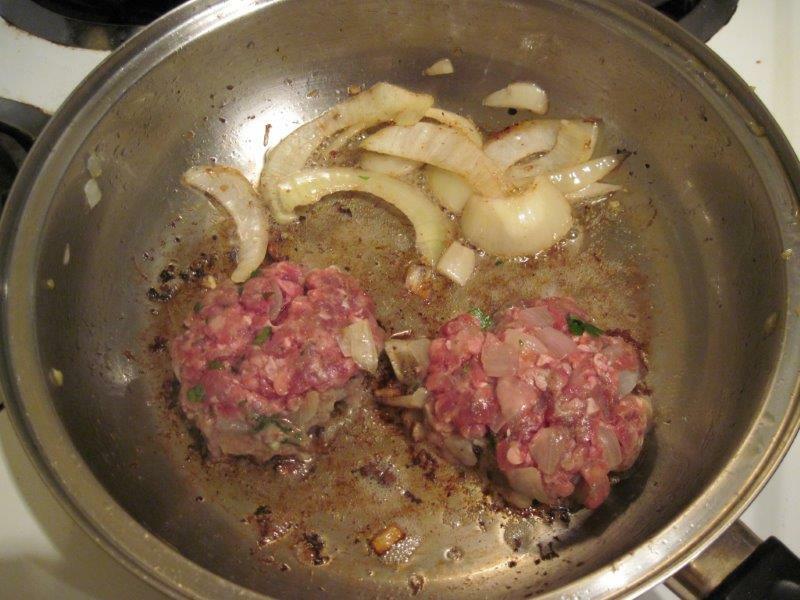 Cook until the bottoms are browned, along with a few extra onion slices if you have space. 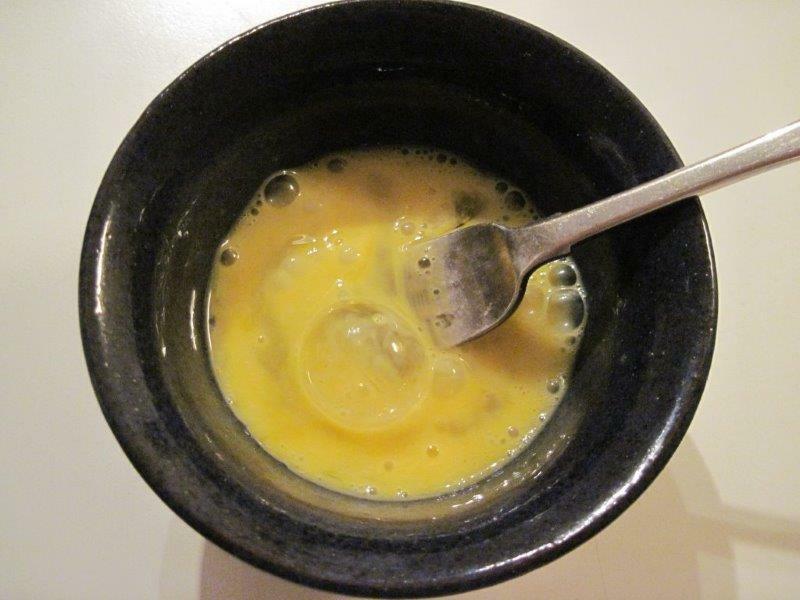 Then carefully turn them over using an egg flip. 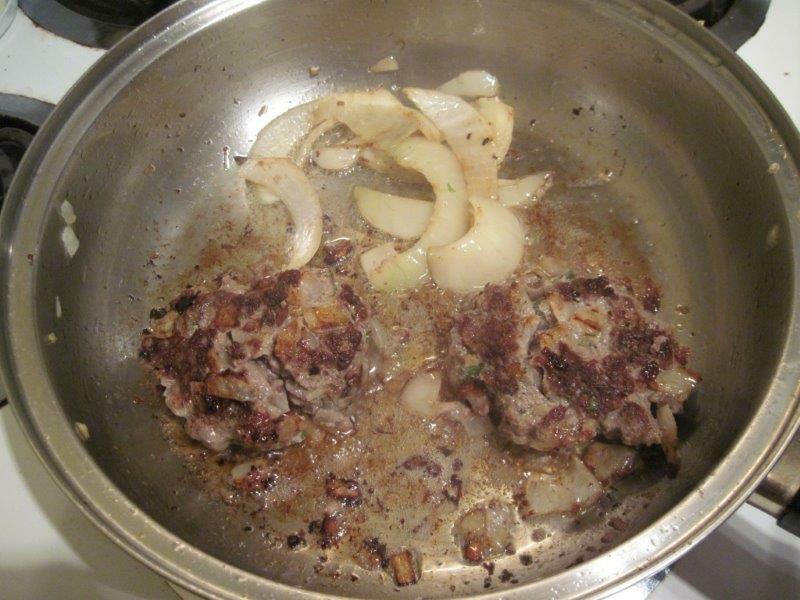 Continue cooking until the other side is also browned and you can see the burgers are cooked through. While they’re in the pan, you can prepare your bases and toppings. 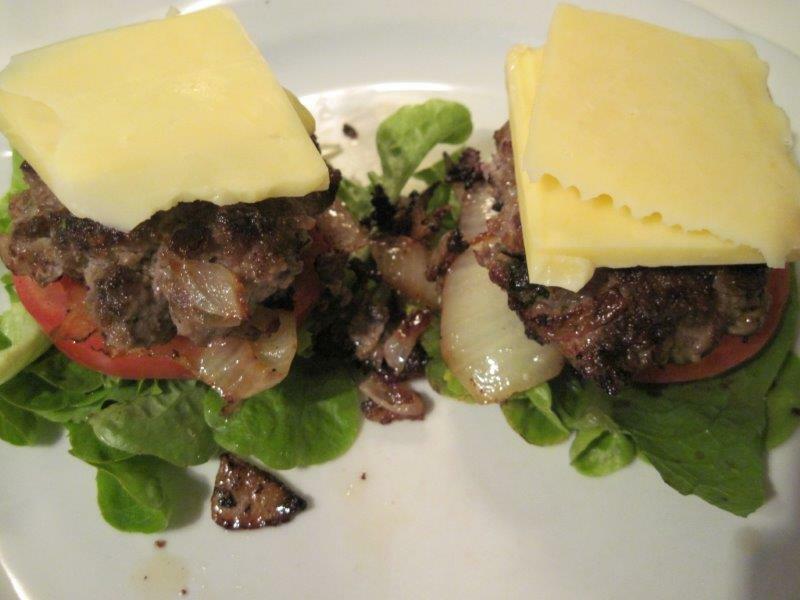 When the burgers are ready, remove them from the heat, then stack them up and serve.